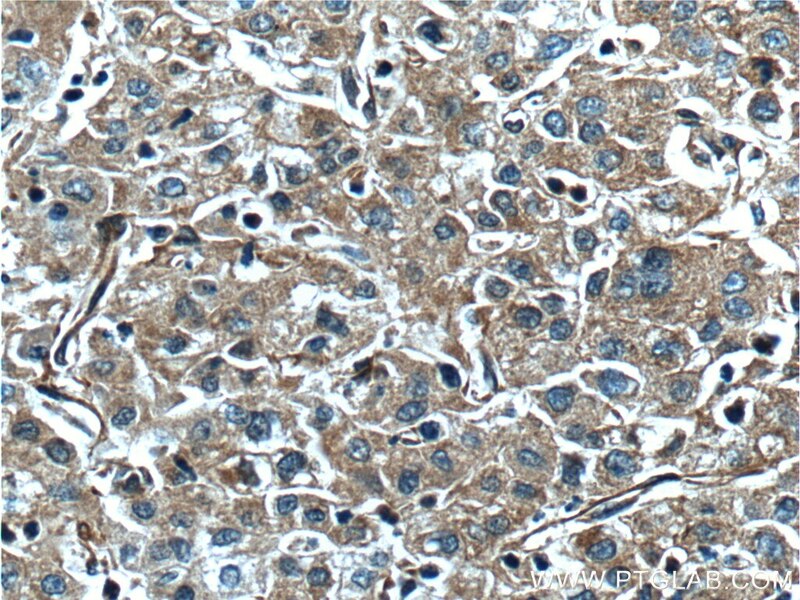 Immunohistochemical analysis of paraffin-embedded human liver cancer tissue slide using 20963-1-AP( F5 Antibody) at dilution of 1:200 (under 10x lens). heat mediated antigen retrieved with Tris-EDTA buffer(pH9). 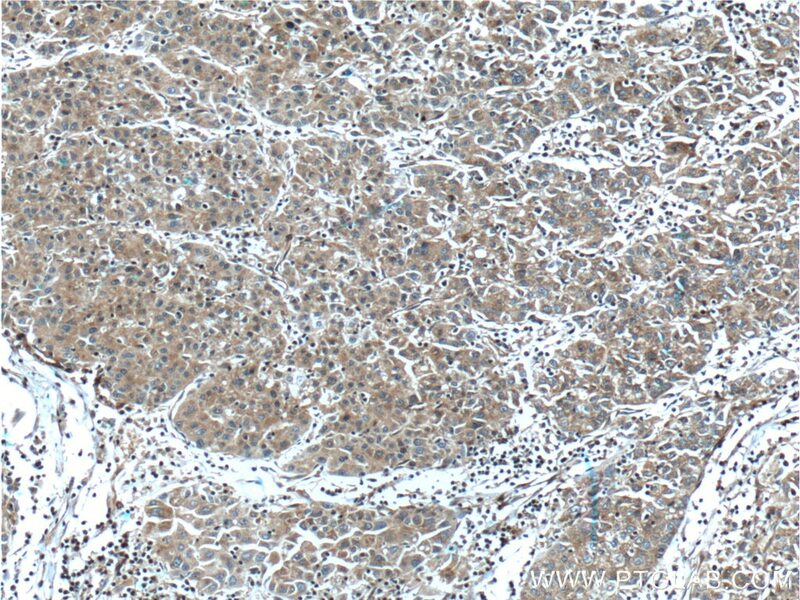 Immunohistochemical analysis of paraffin-embedded human liver cancer tissue slide using 20963-1-AP( F5 Antibody) at dilution of 1:200 (under 40x lens). heat mediated antigen retrieved with Tris-EDTA buffer(pH9). There are 13 blood coagulation factors found in the blood. There are 13 blood coagulation factors found in the blood. F5 has little or no intrinsic procoagulant activity prior to its activation through limited proteolysis by thrombin or F10a at Arg709, Arg1018 and Arg1545. The resulting F5a molecule is a heterodimer that consists of a 105 kDa heavy chain and a 71/74 kDa light chain that are noncovalently associated in a calcium-dependent manner. The intact procofactor molecule (330 kDa) as well as proteins similar in size to the factor Va light chain (74 kDa) and both light chain precursors (280 and 220 kDa) found in factor Va(IIa) were observed. And factor Xa cleaves the factor Va light chain at Arg1765 into fragments of ~30 and ~48 kDa (residues 1546-1765 and 1766-2196, respectively) in the bovine and human systems.